It is trick and treating season and it is incomplete without a carved pumpkin. 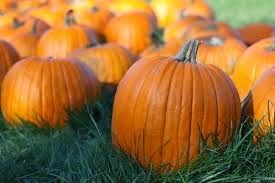 But if you haven't carved a pumpkin before or done so with disastrous results, we will guide you step by step and tell you how to do it right. Always choose a pumpkin with a flat bottom. The pumpkin should be fresh with no bruises on it and a sturdy stem. When you cut the lid, you should make sure that the lid does not drop inside the pumpkin after it is cut. To prevent this, cut the lid at an angle with a boning knife. Scoop out all the pulp from inside the pumpkin and then keep scooping. Scoop out a bit of the inner wall as well. The wall of the pumpkin should be an inch thick. This makes it easier to pierce the shell when you are carving the pumpkin. While carving your pumpkin, remember to cut straight in lines that go up or down. Don't cut at a slant. Place the pumpkin in your lap for a better grip. Light up the pumpkin with a tea light candle. Carve a small chimney in the lid to reduce burning. A little-known secret that some pumpkin-carving masters is that they sprinkle a little cinnamon powder inside the pumpkin. This way when you light up the pumpkin, it smells like pumpkin pie. Spread some petroleum jelly on the cut edges to keep the pumpkin fresh for a few days. 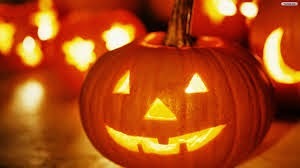 If your pumpkin starts to shrivel, soak it in cold water for 8 hours with its face down to revive it. Happy Halloween from The Box. Post a link to a picture of your pumpkin in our comments. Happy trick or treating!